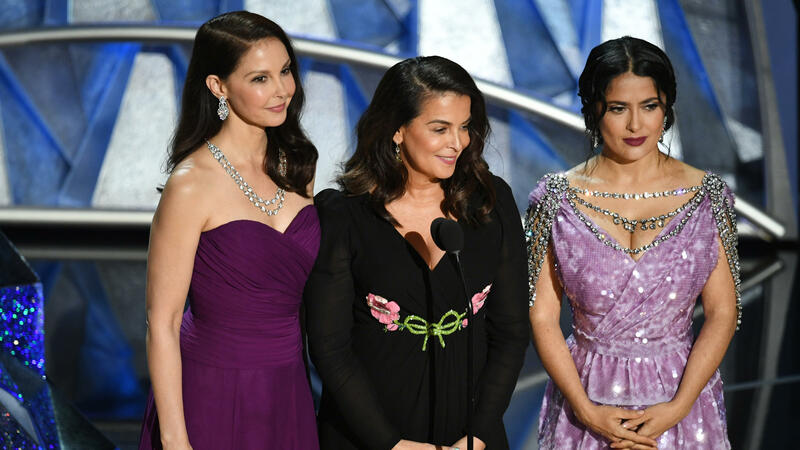 Actresses Ashley Judd (from left), Annabella Sciorra and Salma Hayek spoke about the Time's Up initiative at the 2018 Oscars ceremony. In a small conference room in Washington, D.C., a handful of lawyers and paralegals — most of them in their 20s — process applications coming in to the Time's Up Legal Defense Fund. The Time's Up Legal Defense Fund has reached $21 million, and more than 1,800 women from across the country have asked for help. The fund is being handled by the National Women's Law Center, and it works kind of like a matchmaking service that pairs alleged victims with local attorneys. One of the women who requested help works at a grocery store in Seattle. (For privacy reasons, she asked that we not use her name.) She says that for months, she was harassed by a man who worked for a vendor; it started with unwanted compliments and requests to go out. "And it finally escalated to the point where he was putting his hands on me," she says. "And at that point in time, I became fearful. I was panicky. Even if I thought I saw him, I was getting nervous at work, unable to do my job." Her sister told her about the Time's Up Legal Defense Fund. She got on the website, filled out a form and hit send. Within a week, she received the names of three attorneys. She ended up retaining Natalie Teravainen. "We talked for a long time about her story, and I just knew right away that we should pursue this," Teravainen says. And here's where the money comes in: One of the things that often keeps women from taking action is the cost of an attorney, but Time's Up allows attorneys like Teravainen to apply for funding and potentially defray that cost. Fatima Goss Graves is president and CEO of the National Women's Law Center. She says some lawyers have offered to take on cases pro bono or at reduced rates, but "not everyone can afford to do so, and that's when the fund itself comes in to help entice more attorneys to join with us here." Stanford law professor Deborah Rhode says, "This is an area of enormous need." She has been involved with a similar hotline for women and says they're "drowning" in calls. When it comes to Time's Up, Rhode believes getting enough lawyers and vetting them will be a challenge. "Most complainants don't have the resources to pay for a lawyer, and most lawyers will only take cases if they generate substantial damages and are relatively easy to prove. And especially for low-wage workers, that's rarely the case." So far, more than 500 attorneys have offered their services to Time's Up. Rhode says that this is a huge undertaking and that monitoring the fund's effectiveness is just as important as getting enough lawyers for it. "How do we do it right?" Rhodes wonders. "We won't find that out unless we try to do it." Fatima Goss Graves admits the Legal Defense Fund is still a work in progress — "like building the plane while it's flying." Hollywood has put its muscle behind the Time's Up campaign to fight sexual harassment and discrimination in the workplace. Reese Witherspoon, Shonda Rhimes, and Oprah Winfrey are among those who've donated hundreds of thousands of dollars. They've gotten the word out at awards shows like the Golden Globes. OPRAH WINFREY: The time is up. MONTAGNE: One of the goals is to help defray the legal costs for women who've been sexually harassed. The Time's Up legal defense fund has reached $21 million. But how does the fund actually work? NPR's Elizabeth Blair went to find out. ELIZABETH BLAIR, BYLINE: In a small conference room in Washington, D.C., a handful of lawyers and paralegals, most of them in their 20s, process applications coming into the fund's website. BLAIR: Sometimes, they have to call the applicants to get more information. VIVIAN: And can you give me some examples of these harassment and discrimination instances? BLAIR: More than 1,800 women from around the country have asked for help. Low-wage workers will get priority, but they're receiving applications from across industries - banking, fast food, domestic work, universities. 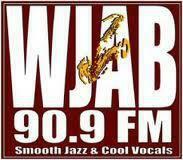 The fund is being handled by the National Women's Law Center. It's like a matchmaking service where alleged victims are paired with local attorneys. One of them who requested help works at a grocery store in Seattle. For privacy reasons, she asks that we not use her name. She says for months, she was harassed by a man who worked for a vendor, starting with unwanted compliments and requests to go out. UNIDENTIFIED WOMAN: And it finally escalated to the point where he was putting his hands on me. And at that point in time, I became fearful. I was panicky. Even if I thought I saw him, I was getting nervous at work, unable to do my job. BLAIR: Her sister told her about the Time's Up legal defense fund. She got on the website, filled out a form and hit send. UNIDENTIFIED WOMAN: I said, this is what's happening, and I need help. BLAIR: Within a week, she received the names of three attorneys. She ended up retaining Natalie Teravainen. NATALIE TERAVAINEN: We talked for a long time about her story. And I just knew right away that we should pursue this. FATIMA GOSS GRAVES: Not everyone can afford to do so. And that's when the fund itself comes in to help entice more attorneys to join with us here. DEBORAH RHODE: This is an area of enormous need. BLAIR: Stanford law professor Deborah Rhode says getting enough lawyers and vetting them will be a challenge. Rhode's been involved with a similar hotline for women. She says they're drowning in calls. RHODE: Most complainants don't have the resources to pay for a lawyer, and most lawyers will only take cases if they generate substantial damages and are relatively easy to prove. And especially for low-wage workers, that's rarely the case. BLAIR: So far, more than 500 attorneys have offered their services to Time's Up. Deborah Rhodes says this is a huge undertaking. Just as important to getting enough lawyers, she says, is monitoring the fund's effectiveness. RHODE: How do we do it right? But we won't find that out unless we try to do it. BLAIR: Fatima Goss Graves admits the legal defense fund is still a work in progress, like building the plane while it's flying. Elizabeth Blair, NPR News. (SOUNDBITE OF GEOTIC'S "EASE") Transcript provided by NPR, Copyright NPR.